The nights are getting colder, but things are starting to heat up for the festive season ahead. Christmas and New Year’s Eve offer the perfect opportunity for many businesses to reach out to new customers and make more sales. From Christmas markets to street food at fireworks, there are so many events over the winter to be involved in. Yet often it’s hard to know where to start without the tools to manage an event away from the day-to-day trading environment. Here Lolly offers its top tips for festive hospitality providers keen to maximise opportunities for the busy selling season ahead using cutting edge technology. There’s a lot to think about – from tracking stock, to monitoring sales and taking orders and payments. Make sure you hire a till with easy-to-use software, so that you can focus on the tasks in hand, safe in the knowledge your till can manage the complex tasks. Also, post-event it’s important that all businesses know how much, and what sold where. The data gathered by till software can provide crucial information that can be used to assess success and analyse what can be improved for next time. 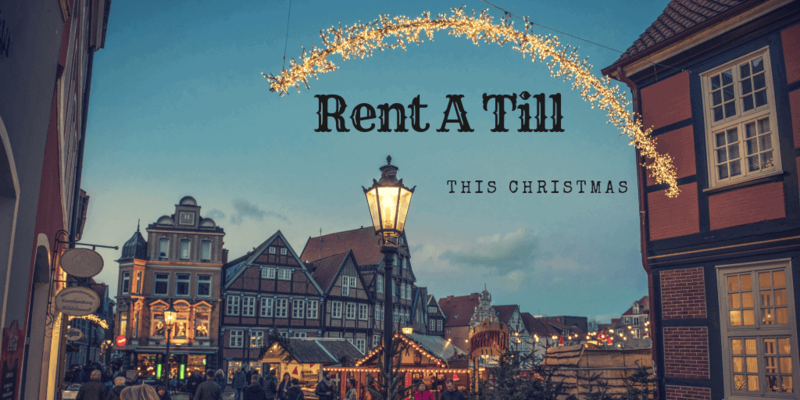 Look for a till that offers real-time stock control, especially if you have fast-paced sales, or your company is considering multiple Christmas trading locations. You can then conveniently monitor sales and stock across various locations. Gone are the days where carrying cash was a must. Hospitality providers appreciate the need to become part of the ‘cashless’ revolution, in order to avoid potential lost custom and revenues. With so many people out and about looking to make purchases over the festive period, now is the time to reach out to new customers. A pop-up stall is perfect for interacting with those who might not otherwise know you and your product. Having a till allows you to focus on the personal stuff and devote your attention to customers. Choose an EPoS company that offers support, in case something does go wrong. Also, make opt for a till with a battery supply, so out on-the-road there is no need to fret about generators dying, or power-outages. Lolly has a range of tills that can be run on batteries. You might not be venturing out of your shop to make sales this season, but every bar, cafe and restaurant is hoping that this year everyone will be out celebrating at theirs. Often this large influx of trade can be difficult to manage. Whilst hiring seasonal staff can help, if there is no way these staff can take payments, the queue will not move any faster. Renting extra tills, or a card payment machine will tide you through the busy period and free up space at the bar. For more information on the portable LollySmart or other Lolly tills for rental, please visit: www.itslolly.com/product/lollysmart-epos-till/, or call 0800 038 5389 for a quote.